Meagan suffered a horrible robbery. What wasn't stolen was destroyed. She's done crying. Meagan Morris has lost everything. Her family is dead, and all that remains of them, all that was endowed to her, has been stolen. Desperate to retrieve her legacy, she attempts to rob pawnshop owner King at gunpoint to get back her grandmother’s pearls. 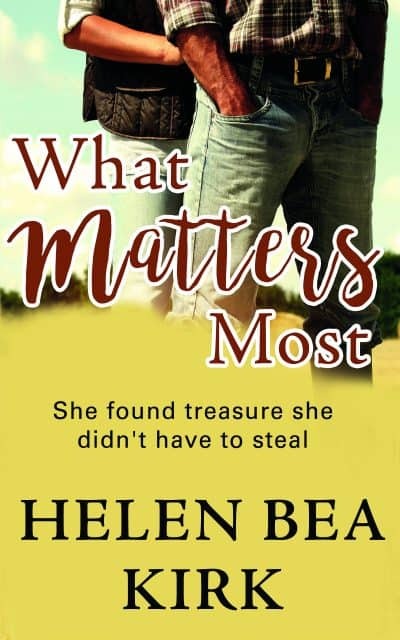 Set among the cattle ranches of America’s Southeast, What Matters Most delivers steady suspense and savory romance as Meagan and King’s worlds collide!